The cattle judging at this year’s Denbigh and Flint show took place in the main ring, following a last-minute decision to cancel the usual show jumping competition due to uneven and unforgiving ground conditions. And top honours in the beef judging went to a two-year-old Limousin heifer, Ganthiaen Mabel, shown by Bryn Lloyd and daughter Siwan. 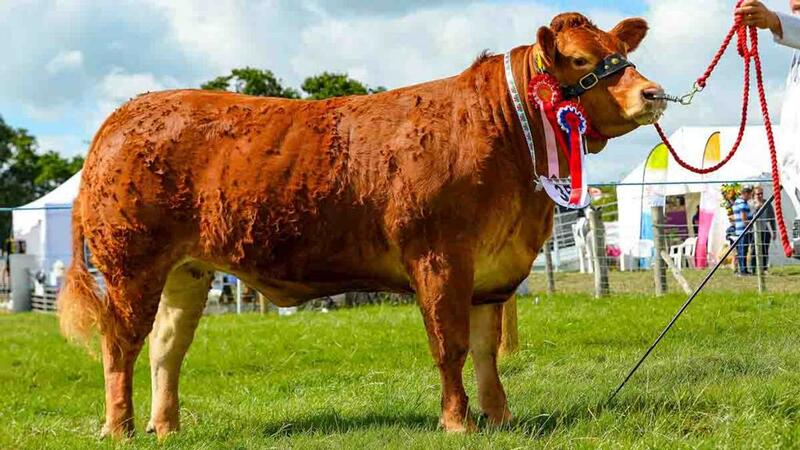 The home-bred heifer by Haltcliffe Doctor, is part of a 30-cow Limousin herd run by the Lloyd family, Denbighshire, who have in the past enjoyed success in the commercial section at the show, but this was the first major win in the pedigree judging. 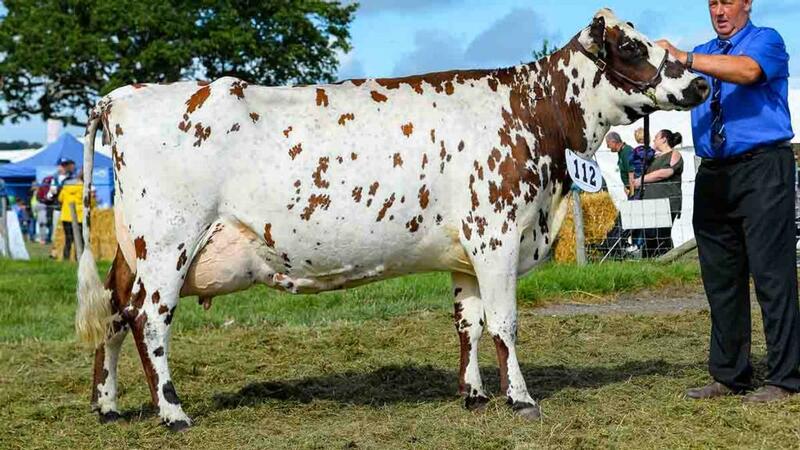 The heifer was shown at Oswestry and Eglwysbach shows, where she was part of the winning pairs, and will next head to Llanrwst and Merioneth shows. 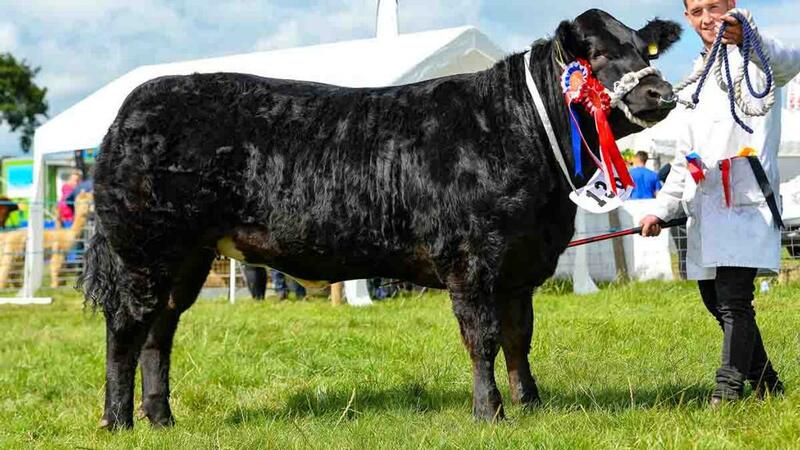 Reserve went to the commercial champion, a Limousin cross-bred heifer, I-Candy, from Cai Edwards Denbighshire. This one, which was bought at Hexham mart, was fresh from success at Anglesey show the day before, and also took the reserve commercial title at last month’s Royal Welsh show. 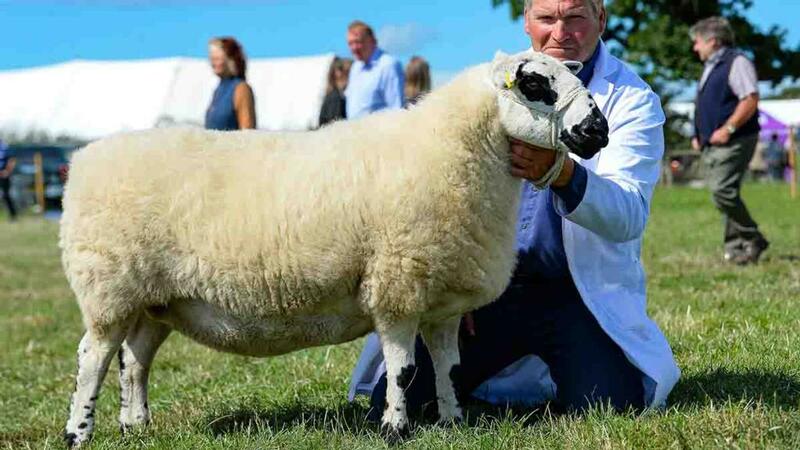 With many exhibitors making the short journey across the Menai bridge from Angelsey show, it was not surprising there were familiar names among the results. And in the dairy section the champion Jersey at Anglesey, went one better at Denbigh and Flint to take the overall award. 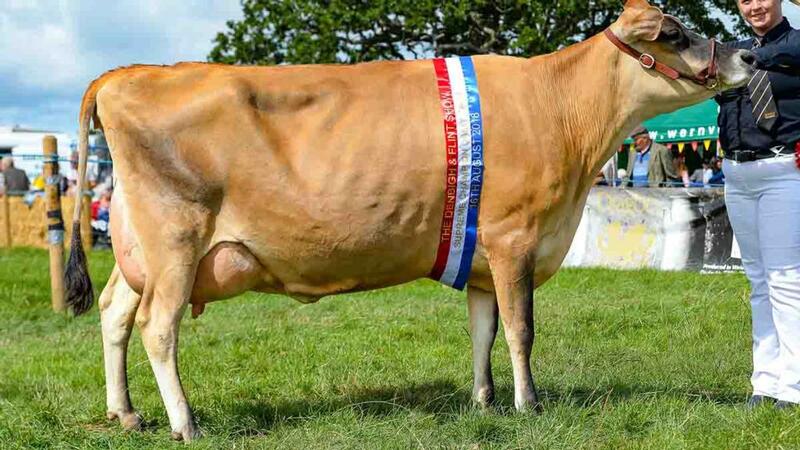 This was Bayview Fantom March, a Jersey third calver, from Owen and Emma Hughes, Anglesey. This was the cow’s first time out, and she was shown two months calved. In reserve was the Ayrshire which took the inter-breed title at Anglesey show; Stamford Western 43 from the Oultram family, Flintshire. She was shown three weeks after calving her third. 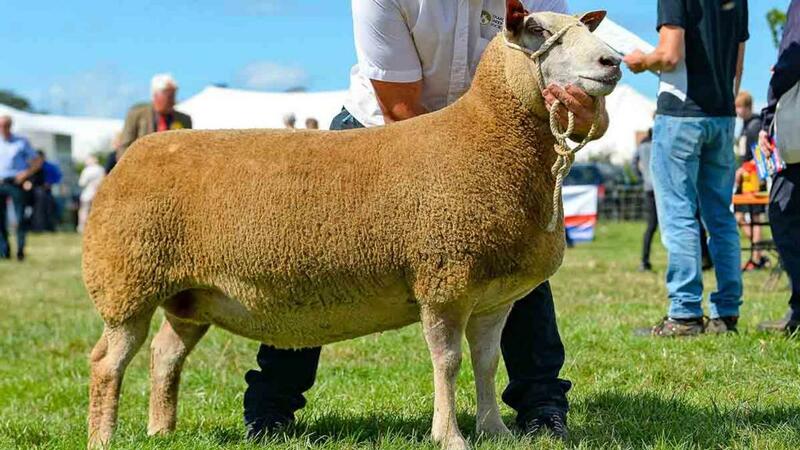 For the first time in the sheep judging there was an overall inter-breed awarded, and this went to the lowland champion, a four-year-old Charollais ewe from Meirion Roberts, Conwy. The ewe was bought privately from the Logie Durno flock, Aberdeenshire, and is part of the six-ewe flock, Mr Roberts runs as a hobby alongside his full-time employment on gas pipelines. Mr Roberts also took the lowland ram championship with a home-bred tup. Runner-up in the individual judging as a home-bred five year old Welsh Hill Speckled Face ewe from Richard Howatson, Denbighshire. This was the ewe’s first time in the show ring. One of her tup lambs took the ram lamb hill title at the 2016 Denbigh and Flint show. Mr Howatson, who has eight Speckled Face ewes, also has 20 Bluefaced Leicesters, and took the male title in the breed judging.